A survey conduced among climbers in 2016 showed that there is widespread support in the WA climbing community for establishing a re-bolting fund. Such a fund can model itself on what exists in other states (Climbing Club of Tasmania and Sydney Rockclimbing Club). Reacting to the growing groundswell, CAWA has now moved to establish the CAWA Bolting Fund, which provides selected applicants with additional funds to assist with re-bolting projects. What is re-bolting? Anybody who has climbed in WA will have noticed that the standard of bolting is varied and that there are number of routes with rusted or otherwise dangerous bolts (see photo). CAWA encourages the replacement of such bolts. The CAWA Bolting Fund provides assistance in this process. CAWA does not encourage the placing of new bolts on established routes (“retro-bolting”), but only the replacement of already existing bolts. An exception are anchor bolts to decrease erosion. How does the CAWA Bolting Fund work? The CAWA Committee has allocated $2,000.00 in 2016 to the Bolting Fund and will review further financial commitments to the Fund in years to follow. The granting of funds is discretionary. The Committee will decide on a case-to-case basis on applications received. Route rebolters must follow CAWA’s Code of Bolting and New Route Development. Applications may take a number of weeks to be processed. Not all applications will be successful due to the limited funds available. Climbers who know of a route that requires re-bolting, or want to apply for a re-bolting project, should complete the Online application form (coming soon) or write to bolting@climberswa.asn.au. Members are reminded that CAWA hosts a forum topic called Bolting on the CAWA website. 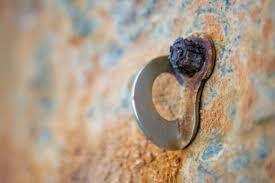 Members and other climbers are encouraged to report dodgy bolts they encounter on this website. Climbing is a dangerous activity. Rebolting does not make climbing a safe activity. CAWA does not engage in rebolting. CAWA does not vouch the safety of any rebolted routes. All climbers should know how to assess the safety of bolts. All climbers climb rebolted routes at their own risk.